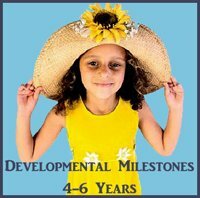 The second and third year of your child's life will be filled with many toddler development milestones that will propel your little one from complete dependence to taking the first few steps toward proud independence. 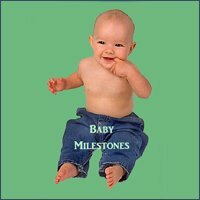 In this parenting article I will present you with many of the exciting physical, social and psychological toddler milestones your child is bound to reach in the time between his first birthday and his third birthday. As your baby grows into a toddler he or she is growing into new interesting abilities and skills which is wonderful and fascinating but also holds certain challenges on an existential level. In order for you to understand what your toddler might be going through during his or her development years, I want you to try and put yourself in your child's shoes. I want you to imagine that all of a sudden you discover that you have will. (Yes, this may sound silly but this is actually new stuff to your child.) Also you realize that your will that has an effect on the world. An effect on yourself and on other people. All of a sudden you consciously realize that you can make things happen. You didn't know this before but do now. Do you see the attraction of that? During their toddler years children start to slowly become aware of this powerful knowledge of 'I can make stuff happen according to how I want it'. This is a truly wonderful insight on the one hand but also quite a big mouthful on the other because your child still has no idea of balance or consequences. 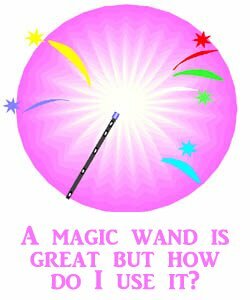 It's like they have been given a magic wand that is desirable, powerful and influential but still don't quite really know how works. They still have no idea of how much can they decide for themselves and for others? What is good for them long term? What is doable or acceptable and what is not? The exciting new prospect of independence and autonomy which comes with the ability to finally be able to do things by themselves and make stuff happen. And still not quite mastering new ambitions or being aware of the consequences of actions or desires and therefore still being highly dependent on you, the parent. Therefore it may seem like your once cuddly and compliant baby is now always stamping her feet in temper tantrums or filling your home with an endless repetition of "no!" and "me do it!". But seen from your child's perspective this is completely understandable. Having boundaries set in a world you just realized was open for your footprint or not getting your newly acquired will is just not fun! And yet still, there will also be times when your child will throw herself onto your lap in utter frustration and ask for your help or guidance. Your child can now get around by herself, but there will be times when she wants to be carried. Your child will be able to communicate her wants and needs, but may still cry when she can't find the right words. In this parenting toddlers article I suggest how may resolve a typical toddler tantrum in 3 steps only. Besides showing unconditional love, one of the important insights is realizing that what your toddler wants, may not be what he or she needs. 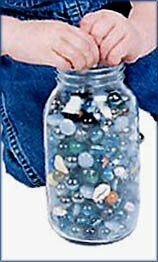 As adults, we would find it very stressful to experience that much change is such a short period. But fortunately your toddler is "wired" to learn rapidly and process a lot of incoming information. 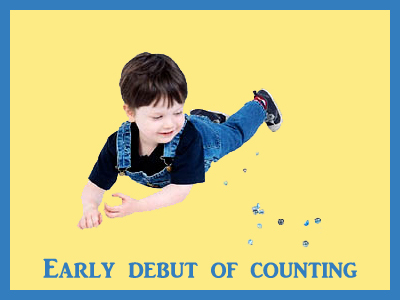 However, as quickly as he is advancing through his development, he is still a little child and it is the security and reassurance he receives from you that gives him the courage to step out and explore the world around him. Your love and acceptance paves the way to reaching toddler milestones. Always being behind your child in emotional supportive sense is at the core of famous psychologist Erik Erikson's "autonomy versus shame and doubt" stage which children go through between the age of 2-3. To help your child balance the two apparently opposite abilities of will and self-control, Erikson stresses the importance of providing a space of acceptance and love at home which will prompt your child to seek out and try, explore and ultimately gain new skills without the fear of failure. Always being a safe harbor fuels your child's lust for life and exploration. John Bowlby is regarded as the father of attachment theory, although much of his premise is based on ideas previously introduced by Sigmund Freud. According to Bowlby, the "safe haven" and "secure base" provided by parents and caregivers make up the foundation of emotional and personality development. Giving your child this intuitive knowledge of unconditional support regardless of success or failure will help your child try and ultimately become the best he or she can. Now, how powerful is that!!! This unconditional acceptance of your child is also relevant when it comes to supporting your toddler through the years of early childhood development. 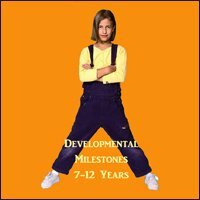 When it comes to toddler development it is important to remember that your child is unique and that toddler milestones are only average. Each child will develop at her own rate. Also there will probably be times when she retreats back to babyhood as a way of coping with fear or anxiety. But, by her third birthday you will be able to look back and truly celebrate how far you have come – together. This was the intro to this parenting toddler article on toddler milestones. Let's move onto those toddler milestones. He will also use this new-found ability to climb onto things, such as a chair or sofa, as well as out of things, like his crib or stroller. As a parent, your life will become much busier just trying to make sure that your little one stays safe and unharmed. He will have great fun pushing and pulling toys while walking, and he may even enjoy travelling around on a ride-on toy. He may begin to walk backwards, possibly run (although he will likely lose his balance easily and fall into things), and will be able to squat down to pickup something. He may begin trying to kick or throw a ball and open and close cupboards or lids. By now, he is probably using his fingers to pick up small pieces of food and feeding himself, but he may also begin using a spoon – although you can expect a wee bit of mess since his aim will still be quite "hit and miss". 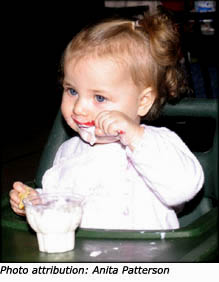 Though you may still be nursing, your toddler will also enjoy drinking from a cup with a lid. His fine motor skills have improved to the point where he will proudly turn the pages in a book while you read to him, and will scribble using a large crayon. During this stage of toddler delvelopment, your toddler may be able to copy simple lines, but don't worry if his coordination isn't developed enough for this yet. To help develop his hand skills, introduce some food quality play dough that he can roll, squeeze, and pat. Your toddler is still fairly self-centered (which is different from being selfish), meaning his ability to understand the feelings and emotions of others is still developing. As a result, he will love being the center of attention, but he will prefer to play by himself. He has yet to grasp the concept of sharing so he may fight with other children and show jealousy if your focus is on another child or sibling. Even though he will want to do things on his own, he will become easily frustrated and may even have a security blanket or special toy that he will snuggle when feeling discouraged or sad. 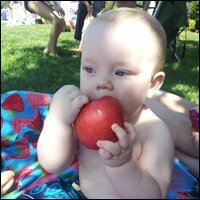 Some parents are uncertain about allowing their child such attachments, but remember that your toddler is going through a lot of toddler development changes and having a "special something" provides him with a sense of security when your are not around or when he is forced to deal with unfamiliar situations. Your toddler will love to copy you because he looks up to you and wants to do what you do. So, he may pretend to cook, play on the computer, or drive a car. This is a great time to mimic appropriate behaviour and responses because it will help him learn how to act in social situations later in life. He will want to explore and try new things, so he will also resist limitations and may "disobey" you. Keep in mind that he doesn't yet fully understand the purpose of boundaries. All he knows is what he feels and thinks, so he doesn't realize that his behaviour has an impact on you. Your child is not "being bad", but is simply trying to figure out how to "be himself". "When parents understand that so-called toddler negativity is a normal developmental stage, not a sign of inadequate discipline, it's easier to take it in stride" (page 4). "Parents can get into terrible difficulty when they take this personally. All that negativity is directed to your child's confusion and fear, not you. You don't have to fight it. Just accept it, and trust in the ability of your child to get through it. Parents help by easing the transition, celebrating the transition, and supporting the transition" (Steps & Stages: 1 to 3, page 4). Although your little one will love to explore, he will also find security in familiarity. He will be more likely to take risks and try new things if someone he trusts is near-by. Even though he may not fully understand how his actions make others feel, he does know that love and affection make him feel good, and he may begin to express this by giving hugs and kisses to parents, caregivers, and even pets. At this development stage, your toddler will have a good grasp of object permanence and will realize that things exist even when she cannot see them. She will look for something where she last saw it and will ask for a toy that you took away, or remember a game that you played a few days ago. Her learning experiences will be very "hands on" and she will love to play games where she has to fit shapes into holes, stack objects according to size, and build things using sand or play dough. She may begin to develop the ability to group items based on similarities such as separating clothing into piles of socks, pants, shirts, and towels. You may also notice that she is beginning to recognize colors, and possibly even some shapes. She will be able to follow simple instructions such as, "come here and put your shoes on", although she may not always want to. And, she will definitely expect her life to follow a predictable routine, often becoming upset if her schedule is changed. Knowing what to expect is a great source of security in her rapidly changing world, and establishing a reliable routine is a good way to help prevent the recurrence of separation anxiety. She will also be able to identify objects in a story book, so keep reading to her – it is great for cognitive and language development. Your toddler's language and communication skills are also improving at a rapid speed. Her vocabulary is quite large and she is likely forming two or three word sentences such as "all gone", "me do it", or "mommy home". She can now inflect her voice at the end of a sentence to ask a question, and will try to sing songs or copy animal sounds. Of course, she will make frequent use of the word "no", but look at it in a positive way – at least she understands what you are saying to her and is responding to your request in context. 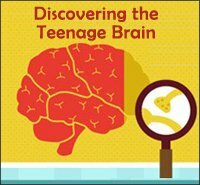 Although it may often seem frustrating, it really is one of the major toddler milestones in cognitive and language development. Sometime before your toddler's second birthday, she will be using her feet to scoot along on a wheeled toy, kicking a ball, walking backward and sideways, squatting without losing her balance, and she may even be jumping up and down. She will play ball with herself by throwing the toy and then running to get it, but she will also enjoy playing 'catch' with you. Try to use a large ball, as this is much easier for your little one to catch. You may also notice that she backs up slowly and aims her bottom when sitting down into a chair, although her "landing" may be a little rough. During this stage of development, she might often walk around on her tip toes – this is quite normal but keep your eye on this situation. Some children who carry this habit into later years often develop a shortening of muscles and have difficulty actually flattening their feet. Her fine motor skills are continuing to improve and she will be able to remove lids from containers, string large beads, and copy straight lines, crosses, or circles using a crayon or marker. She may even show some interest in cutting with child-sized scissors, but will not be able to follow lines. Just let her snip away, as it will help improve her accuracy and skill. She might like to undress herself, especially removing her shoes or socks, but may not always be able to re-dress. And, she will now be able to open doors, so this would be a good time for some child safety door knob covers. Your child's independence will continue to assert itself and he will insist on doing things without your help. He may start to dress himself, and you can encourage this by providing simple clothing such as pull-on t-shirts, elastic waist pants, and slip-on shoes. Lots of buttons and snaps and belts look stylish but they can become a great source of frustration. Insisting on doing things by himself is one of the important toddler milestones in seeing himself as a separate person. Up to this point, he has been completely dependent on his caregivers, but now he is beginning to realize that he can make choices and achieve goals all on his own, independent from you. Yes, he will say "no" a lot (even more if he hears it a lot), but it is not meant as a form of disrespect. It's his way of establishing his identity as a separate individual. This is a natural part of his development. He will still have trouble sharing, although he may occasionally surprise you. 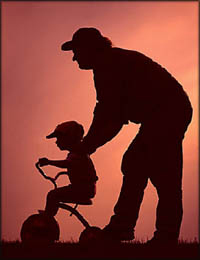 He will usually prefer to play alone or with a non-threatening adult than with a similarly aged child. Your child may not yet be aware of the effect his actions have on others, but he is beginning to gain an understanding that the people around him may have feelings. If another child is crying, he may show concern. Or if you seem sad, he may pat your back or crawl on your lap. 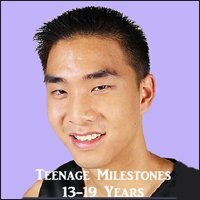 This may also be a time when he develops new fears and will be cautious around people he doesn't know. Routine will be very important and he will not like any changes in schedule. He may depend even more on his security blanket or cuddly toy to help him through these challenging times. Remember, even though he wants to do things on his own, he still needs your encouragement and support and will often seek you out for help and comfort. A hug and a kiss, and a little bit of help will be all the recharging he needs before tackling his next development adventure. At some point during these months, your toddler will begin to use items properly, such as putting a telephone to his ear or using a toothbrush to clean his teeth. He may begin to acquire a broad concept of time and understand phrases like "when we get home" or "after your nap". Not only will he be able to identify pictures in a book, but he will also recognize familiar faces and objects in a photograph. He may even be able to point to himself. His memory is continuing to improve and he may begin to show an interest in counting, particularly as it relates to items he can see. A greater ability to remember will allow him to follow two part directions such as, "Put away your blocks and bring me a book so we can read a story." By this age, your toddler will have about 200 words in his vocabulary, and this number will continue to increase rapidly. Although he may only speak to you in three or four word sentences, you may hear him babbling or chattering while playing alone. What he is saying may not always make sense, but his stuffed animals or toy cars won't care. This type of chatter is a great form of experimentation and discovery that helps with language development. He may also repeat things that he has heard you say, even if he doesn't know what these words or phrases mean. And, of course, he will probably sing songs and add actions, especially if this is something that you do together often. You will know that your toddler has reached a new language milestone when he begins to use plurals and past tense, although he may not initially use them correctly. For example, he may use "foots" instead of "feet" or "goed" instead of "went". This is perfectly normal and a good sign that your little one is beginning to grasp some fairly complex concepts. By this age, your toddler has become a very active little individual. You can assist her balance and co-ordination by helping her walk on a narrow beam or teaching her to pedal a tricycle. She may enjoy these challenges, but if you sense a lot of frustration, wait a month or so before re-introducing. You want to make sure your toddler always feel confident when tackling new tasks, rather than discouraged and fearful of failure. 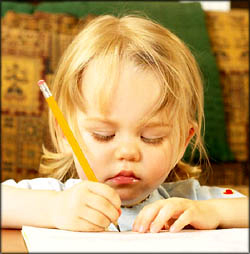 She will love to scribble with a crayon, although she may hold it with her fist rather in a pincher position. If this is the case, don't worry, just let her draw in whichever way she feels like. If she is open to it you may help her with proper grip, but she may have a difficult time manipulating her fingers into this position and the most important thing here is that she has fun. At this age, your toddler will like to duplicate your artwork, and will copy horizontal and vertical lines as well as crosses and circles. She may also be able to fold and snip paper, but accuracy will vary depending on coordination development. Her fine motor skills will have developed to the point where she can pick up small beads using her thumb and index finger and string them with fairly good accuracy. She will be able to unzip zippers, unsnap snaps, and may begin showing an interest in being potty trained. Potty training is often a great source of stress for both the parent and the toddler. Many parents feel a pressure to have their children out of diapers by a socially approved age. Toilet training is a skill to be developed, and your little one must be ready to tackle this challenge. If her body has not matured to the point where she has the muscle control and a cognitive understanding for this task, you will be asking something of her that she simply is unable to deliver. 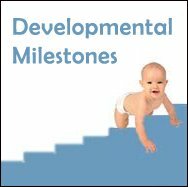 In this way thinking in terms of toddler development milestones becomes more of a burden than a help. Although you may feel that potty training is a reflection on your discipline and parenting abilities, psychologist Penelope Leach states, "Toilet training is not a question of making your child do something for you. It is a matter of helping him do something for himself" (taken from Steps & Stages: From 1 to 3, page 50). Your toddler will be even more independent than ever and will continue to insist that he do things by himself. However, despite his confidence in all his toddler development achievements, he will still want your unconditional support and encouragement. 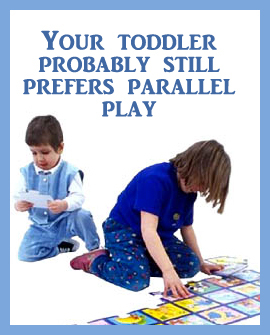 While he will enjoy playing near other children, he will probably still prefer parallel play rather than cooperative play. He will begin to recognize the difference between boys and girls and may even be able to associate "girl" things from "boy" things. Of course, these distinctions will be based on his socialization. While his ability to play with others will be limited, he will notice the emotions of others and respond to them accordingly. For example, your toddler may cry if another child cries. Or, he may seek you out for security, if someone else shows fear or uncertainty. He will have very clear likes and dislikes, and will make his feelings known, although he may show frustration if others do not understand what he is trying to communicate. He will still be shy around strangers, but he may be relaxed around unfamiliar people if he believes that you are comfortable with this interaction. At this age in her development, your toddler will express her feelings by play-acting. As a parent or caregiver, it is a great way for you to see how your little one is interpreting and processing the world around her. 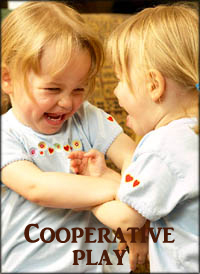 If she is able to engage in some level of cooperative play, she may enlist other children as actors in her play. For example, one child may be the mom while the other is the dad. Or, your toddler may act out the role of the parent, while his friend takes on the part of the baby. This play will be simplistic, but you may even hear phrases and words that you use quite regularly. She will begin sorting more complex objects, such as different shapes and sizes or types of animals. Her attention span and problem solving skills are improving and she may now enjoy completing simple puzzles or combining toys. For example, she may use play dough to make "cookies" for her tea party, or line her story books up to create a road for trucks and cars. She may begin to understand the sequence of numbers and will grasp the concept of "one more than". Her memory will have also improved and she may be able to recall past activities, and recount these events when looking at photographs or specific objects. Her language skills are continuing to advance, and sometime during this period she will probably begin speaking more often in personal pronouns such as "I" or "me". When asked, she will be able to give both her first and last name, and may even know her age. She will love to sing, recite rhymes, and ask lots of questions. This time during development, you will also start to hear "why" so often that the word will echo in your sleep. But, your answers will help your toddler create associations and develop problem solving and reasoning skills. "Why" is how she learns, and the more she knows, the more independent she will become. She will be able to follow more complex directions, answer questions, and use descriptive words such as "wet" or "full". Your toddler's coordination will have improved to the point where she can participate in action games such as "Hokey Pokey" or "Simon Says". She will enjoy running, twirling, skipping, and even rolling. She will be able to balance on a beam, ride a tricycle quite adeptly, throw or kick a ball with fairly good accuracy, and use her climbing skills to use a slide or other playground equipment. Her fine motor abilities have continued to improve (and will all through her toddler development stage) and she will now be able to use a pencil or crayon with enough control to copy more complex lines such as squiggles or zig zags. She may also be able to play with connecting toys such as "Lego" blocks or trains, and will enjoy play-acting using finger puppets. She will be able to turn the pages of a book one at a time, and can even separate pages that have turned together. In this phase of toddler development, your child will now move into cooperative play and will enjoy interacting with other children, although her ability to share and take turns may still be developing. She will use her imagination even more extensively, but may have difficulty separating the real from the unreal. She may even have an imaginary friend. She will still continue to copy adult behavior such as shopping or cooking, and much of her reaction and response to situations will mimic your own. She will be fearful of unfamiliar events, but will be less hesitant around new people. She will be able to talk more about her feelings and will also have a better understanding that other people have emotions as well. For example, she will be able to tell you if someone is sad or angry, and may even recall times when she felt this same way. Now that she is gaining confidence in her abilities, she may offer to help other children, and will also take great pride in assisting you with chores around the house. Your toddler will now be able to distinguish between various sizes and use words such as "bigger" or "smaller" to describe these comparisons. She will be able to count small numbers of objects and may show signs of logical thinking. For example, she may gather all her art supplies before making a picture. She may begin noticing small details and changes, such as a flower bud opening or leaves changing colors in the fall. Her concept of time is growing, and she will be able to understand general segments such as "supper time" is after lunch, or "bedtime" is when it is dark. Of course, she will continue to ask a lot of questions, and her sentences will become longer and more complex. She will say "please" and "thank you" as well as "hello" and "good bye", and will be able to communicate clearly enough that other children and adults understand. She will be able to explain her drawings and describe her day, and may also finish familiar stories or make up alternate endings. Her grasp of position words is increasing throughout this particular toddler development stage and she will display an understanding of concepts such as "inside", "outside", "under", or "around". Through the toddler years you will all learn from each other, build a strong bond, and celebrate many toddler milestones. "Toddler-hood" is an amazing time in your child's life and there a few things that you can do to help to make all the toddler development changes and transitions much easier for your little one to handle. Continue to breastfeed for as long as it is needed. Meaning for as longs as it makes sense to you and your toddler - even if it is only once a day. Breastfeeding is so much more than food. It's bonding, security and closeness. Play a lot of music, dance, and sing songs with plenty of fun actions. Spend time playing with each other and developing age appropriate skills such as throwing and kicking balls, stacking blocks, and completing puzzles. 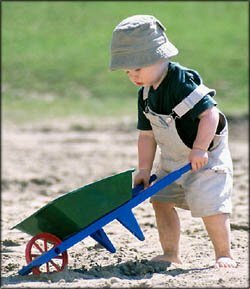 Find child-sized tools and sports equipment so your toddler can participate when you are working in the garden, doing housework, or playing soccer and baseball. Make a habit of exploring the outdoors, such as going for walks, visiting parks, or kicking balls. Play games that allow your toddler to pretend or use his imagination such as fluttering like a butterfly, galloping like a horse, or flying like an airplane. 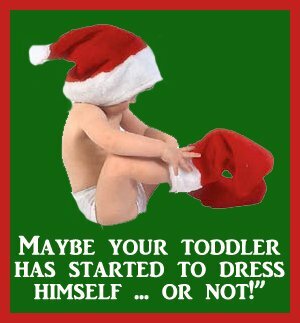 Encourage your child to dress herself by providing simple clothing. But try not to force it through. Often girls will be more interested than boys. Use the window of opportunity if there is one. If there is none right now, just wait. Offer plenty of age appropriate art materials such as crayons, markers, paper, safety scissors, beads, cotton balls, or other creative items. Your toddler will love to copy adult behaviour, so provide her plenty of opportunities by letting her help with baking, dusting, or sorting laundry. Read to your child as often as possible, and talk about what you have read. Perhaps consider making a reading a bedtime ritual. Follow a regular routine as much as possible. Give your toddler plenty of opportunity to be around other children, but do not force interaction until she is ready. Use stuffed toys or dolls to model appropriate social behaviour such as sharing and taking turns. Give your child opportunities to make choices on non-safety issues (ie. Do you want to wear the read shirt or the blue sweater?). Discuss emotions and encourage your child to talk about how he feels. Point out the feelings and emotions of others when you notice them. For example, if your toddler grabs a toy from another child, you can say, "Johnny is crying because he is sad that you took away the toy he was playing with." Try not to judge your child's behavior (your will not be able to separate your judgment of his behavior to your judgment of him). Just explain the effect his behavior has. Introduce colors, numbers, and shapes in a fun and exciting way. Talk to your toddler as much as possible, describe what is happening, explain changes to routines, and share your feelings. Complete her sentences or expand on her phrases. For example, if she says, "Daddy sleep", you can respond with, "Yes, Daddy is sleeping." Ask your toddler questions and be prepared to answer his questions in return. Model, rather than teach, good manners. Talk about safety and set reasonable limits. Explain these boundaries so your toddler knows "why" he cannot do something. Provide lots of dress-up clothes so your child can use her imagination through make-believe and role playing. Teach your toddler to ride a bike, climb, jump, swim, or dance. Encourage your child to try new things, but be prepared to comfort him when he becomes discouraged or tired. Love and accept your little one unconditionally and be the safe haven that he needs. Most of all, have fun! Having a toddler means a busy, active life, but it is important to make time for lots of laughter, cuddles, and bonding time.